Helitrax flies in the beautiful San Juan Mountains at the highest elevations of any helicopter ski operation in North America, which ensures panoramic scenery and powder turns. 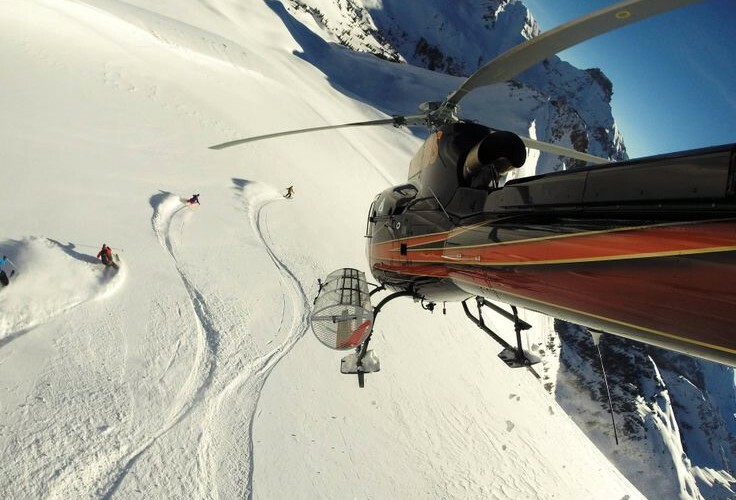 They offer a variety of heli-ski options: choose from day trips, multi-day outings, and custom tours. In the surrounding areas, San Juan Scenic Jeep Tours + Snow Cat Skiing takes skiers and snowboarders on guided snowcat tours in the San Juan mountains. San Juan Scenic Jeep Tours + Snow Cat Skiing is located 45 minutes from Telluride on top of Red Mountain Pass. It’s Telluride’s closest catskiing operation. Skiers and Snowboarders will be treated to a vast piece of wilderness where only their tracks will be left.